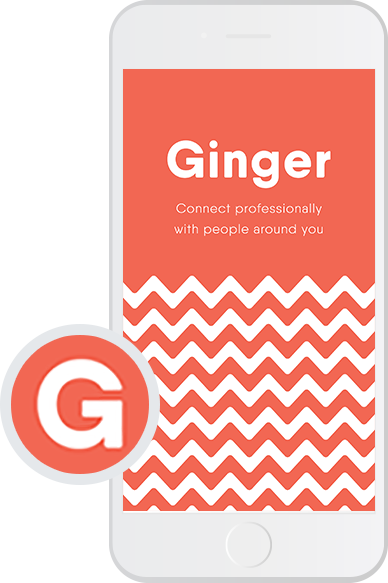 Ginger is a powerful professional social networking application that enables proximity based connection with trusted professional contacts to exchange knowledge, ideas and opportunities. This application enables the user to see who is nearby, what industry they are in, skills they possess and whether they have any mutual connection with the new connection. Additionally, user can also refer their contact to someone for recommendations and vice-versa; they can also send instant messages to build genuinely useful professional contacts.The developed system helps users to get the most out of connecting with others, typically for professional reason. The client brought to us an innovative concept of simplifying the job finding & connecting with the professional people/colleagues/friends/contacts around the user. Client approached us to develop this social networking system which can make the certified connection with ease and must be highly proficient & engaging enough to attract new customers, providing a flawless way to navigate through the app. Before the start of the engagement, Ginger had an inefficient back-end code & outdated technology stack with several architectural & design problems. He also wanted us to optimize the app by adding more features for enhanced usability and user experience. TOPS Infosolutions decided to develop developed Ginger – Social Networking System in MEAN stack loaded with extensive functionalities for enterprise-level organizations. The developed mobile app helped the professionals to connect the right person within their nearby range just by searching name, job role, skills etc. The team of TOPS used MongoDB database to provide new levels of scalability and availability which were previously unachievable with the MySQL database. A systematic approach was followed to analyze, organize and present the information in a clear and concise manner. Connect with people based on where you live, work, visit and hangout frequently; whether the contacts are within your own company, prospects, suppliers, professionals or even a local plumber. Users can narrow down and filter their search by location, job role, industry, connections, skills and much more. Introduction being the strongest part of new connection, this mobile app helps you to connect with new people using your existing network by asking them for peer recommendations. For instance: Do Stephen knows Mark? Swipe left for yes, right for no! In this busy world nobody is any more interested in formal boring emails. With Ginger, user can send instant messages to their contacts like request for meeting, invite someone to coffee etc. Who cares if there are 1000 software companies in your city? You need to know which one fits your requirements and helps to get connected to that right person. By just telling whom you want to connect with and Ginger will use its data to find the right fit for you. Looking for some advice on digital marketing?’ Simply tell ginger what you want and it will send push notification to the experts in users’ vicinity to get instant connections and match you with verified, interested professionals.